Martin-Pardey, Eva. Plastik des Alten Reiches. Teil 2. Corpus Antiquitatum Aegyptiacarum. Pelizaeus-Museum Hildesheim, Lieferung 4. Mainz am Rhein: Philipp von Zabern, 1978, pp. 134-137. Remarks Probable owner of Khenut (unnumbered mastaba excavated by Junker). 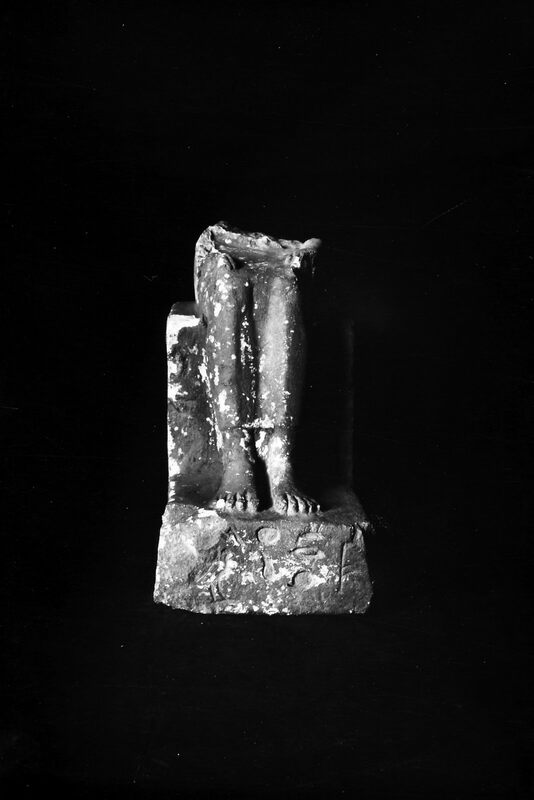 Lower portion of seated statue (Hildesheim 3261) inscribed for Khenut, identified as [rxt nswt] royal acquaintance; probably found in shaft S 358, west of mastaba of Khenut (Junker, Giza 11, p. 78, states that this statue fragment was found west of serdabs in shaft S 583; however, there is no shaft S 583 in that area; shaft S 358 is immediately behind mastaba of Khenut, west of serdabs). Head of statue (Hildesheim 3181) (assumed to be part of inscribed statue); found in mastaba of Khenut debris.